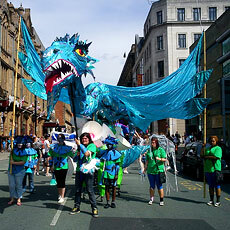 Gynormous Rawkus - giant puppets, carnival arts, public arts and participatory arts projects. Gynormous Rawkus is a not for profit company limited by guarantee. 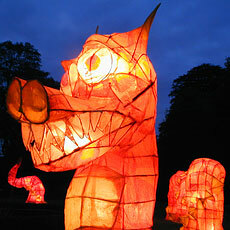 We have ten years experience in creating and producing inspirational and fun participatory arts projects and events. Book us for a short event or involve us in creating a magical event. 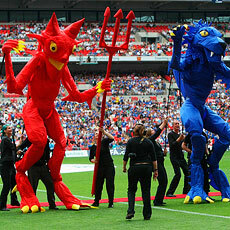 As leading makers of Giant Puppets and large-scale carnival costumes we provide a bespoke service for your event.